Over at the M-Brane SF blog, Chris Fletcher has announced a firm publication date for the M-Brane SF Double: 31 May 2011. To entice you into being among the early readers of this startling little book, Chris offers a massive trove of free electronic-form M-Brane bling to the first hundred pre-orderers, including a lifetime subscription to the flagship monthly ’zine M-Brane SF itself. What are you waiting for? It’s only $14.95! 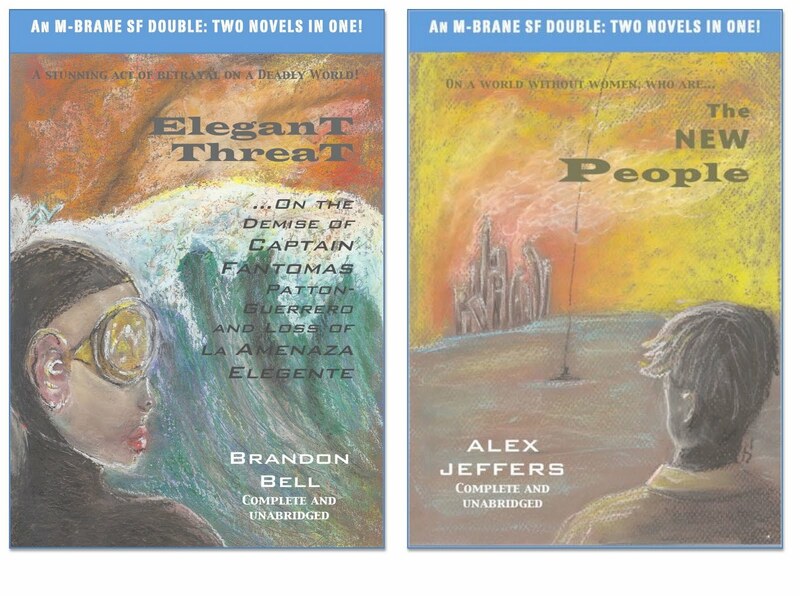 While you’re there, be sure to read Chris’s prefaces to Brandon Bell’s Elegant Threat and my The New People—but hit that PayPal button first. To send you on your way: A live performance of the song that inspired and titled my novella, Ivri Lider’s “Ha’anashim Ha’chadashim,” in an odd, countrified arrangement.